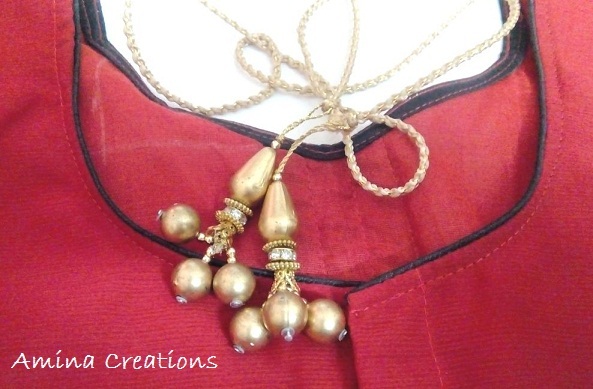 Triveni Ethnics is a popular clothing brand known for its excellent designs and quality. The sarees, salwar suits, lehenga cholis, lehenga sarees, kurtis and jewellery from Triveni are classy, graceful and elegant. I got an opportunity to select a Saree from the Fashion flow 2 collection for review and I selected this Saree as I liked it's prints and looks. I got the Saree delivered with a blouse stitched in just a span of 15 days and I am very impressed with their service and fast delivery. 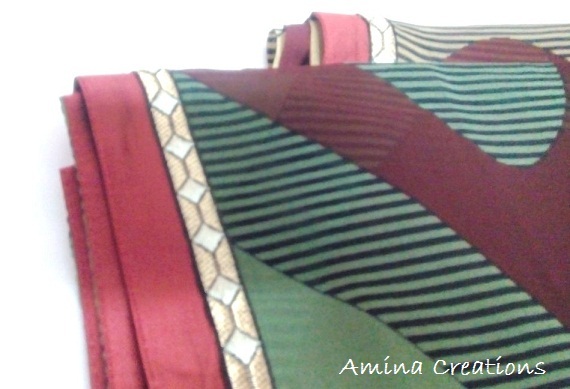 This colourful saree is made of georgette and has a matching lace border that complements the saree well. This Saree is a great choice for the summer as it is light weight, airy and bright. Another thing that impressed me is its perfectly stitched blouse. 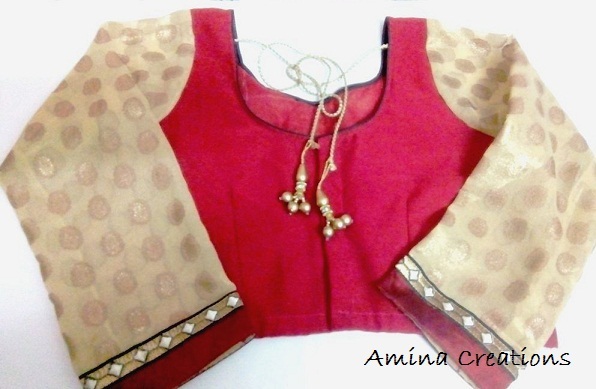 It is stitched in princess cut pattern and has an elegant lace work at the centre. 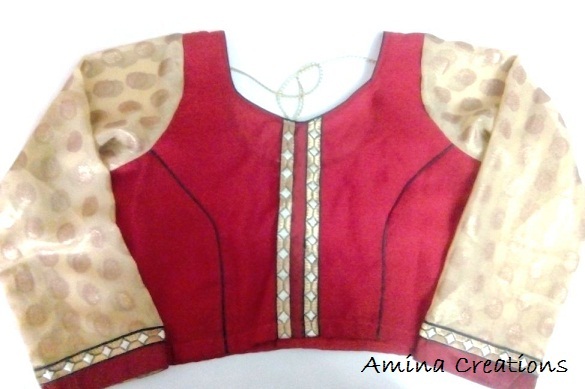 The blouse has a back opening and piping with a contrasting coloured black cloth is done to accentuate the cuts and neck pattern of the blouse. 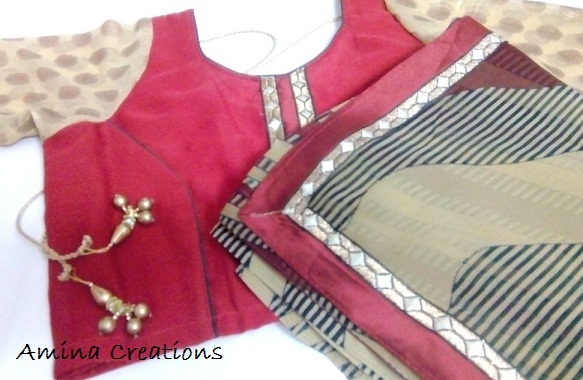 The sleeves are made of Bhagalpuri silk with beautiful gold motifs. The semi transparent sleeves are of 3/4th length and have a matching lace border along the sleeve ends. Bead strings embellished with stones have been stitched to enhance the look of the back part of the blouse. 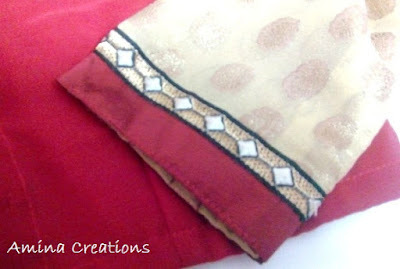 I am planning to pair this saree with a simple gold necklace and bangles and tie my hair into a bun with a matching gold colour clip.